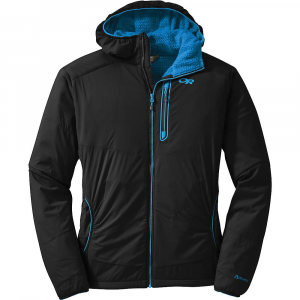 The Outdoor Research Men's Ascendant Hoody is an insulated synthetic jacket that doubles as a softshell, regulating your body temperature during cool to cold weather pursuits. 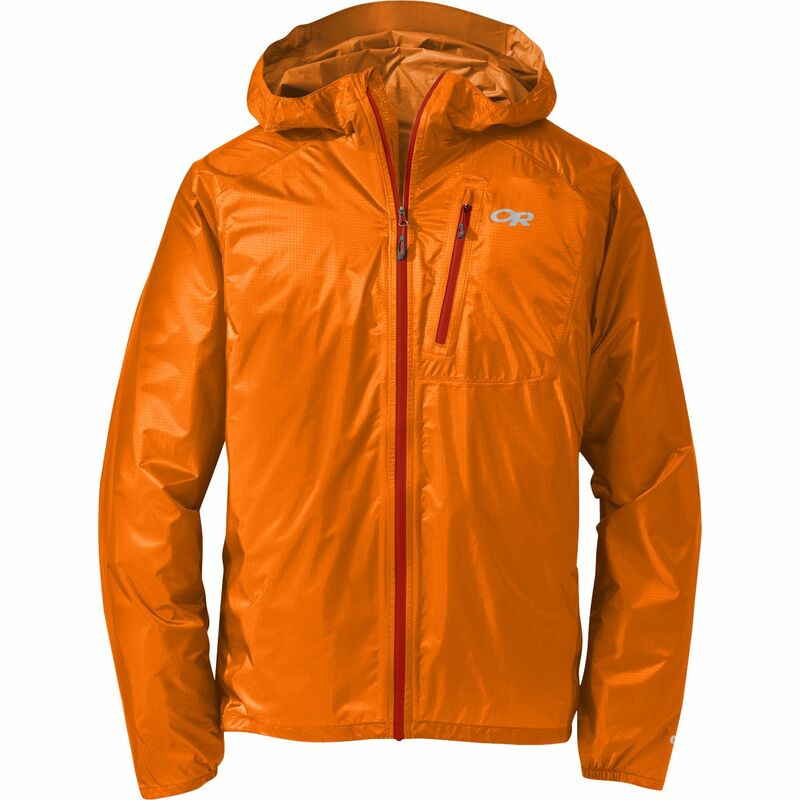 The stretchy Pertex Microlight exterior accommodates your full range of motion without causing any bunching or riding up, and also keeps the insulation properly lofted. 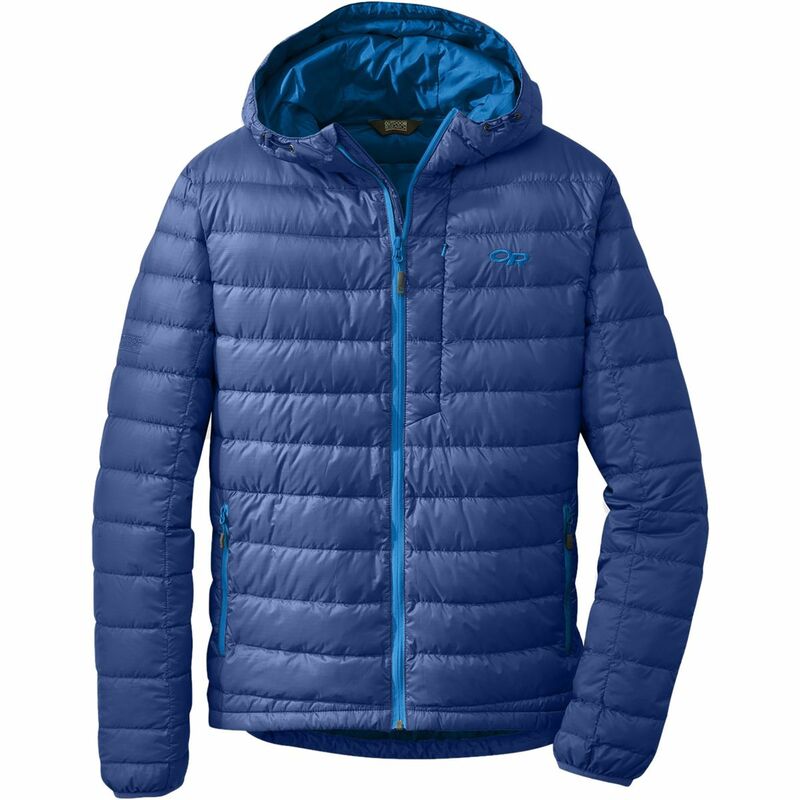 On the inside, a plush and highly breathable Polartec Alpha lining traps body heat while preventing sweat build-up and overheating. 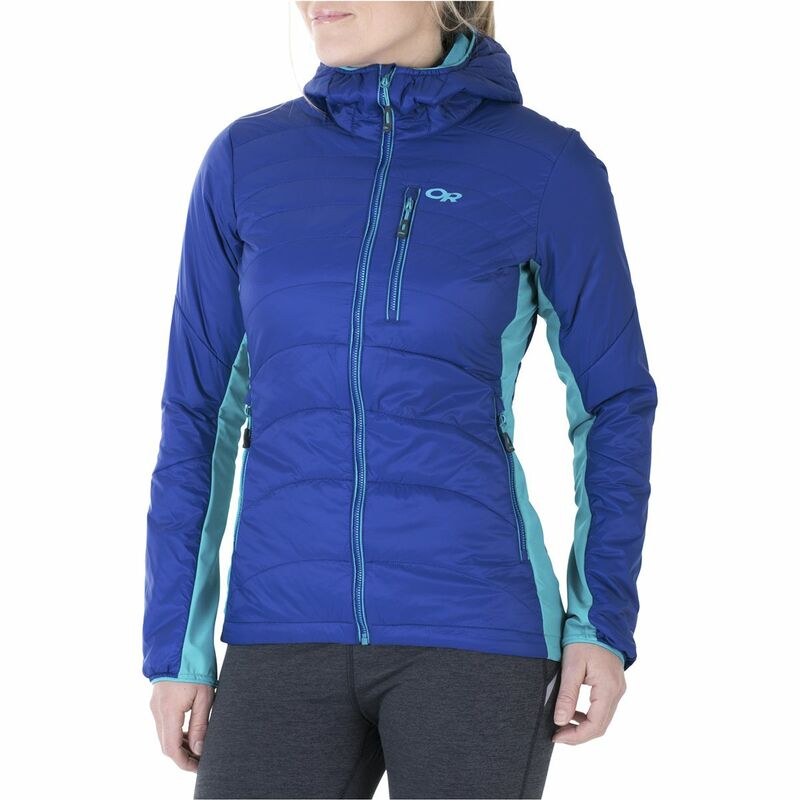 This design keeps you dry, warm and comfortable without needing to stop and swap layers on the move. 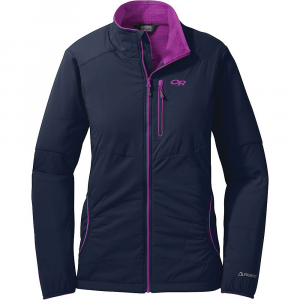 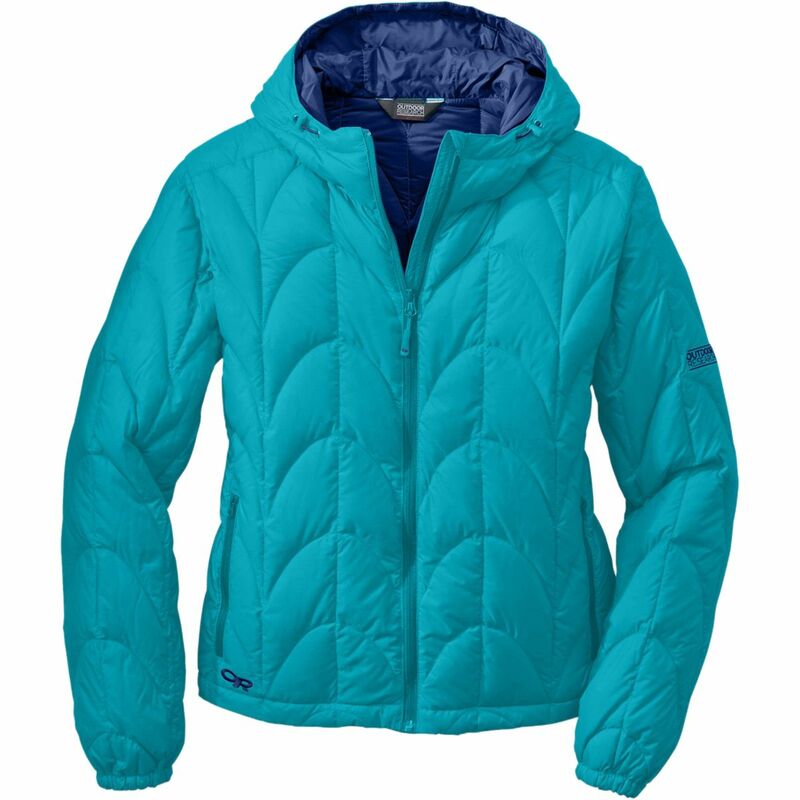 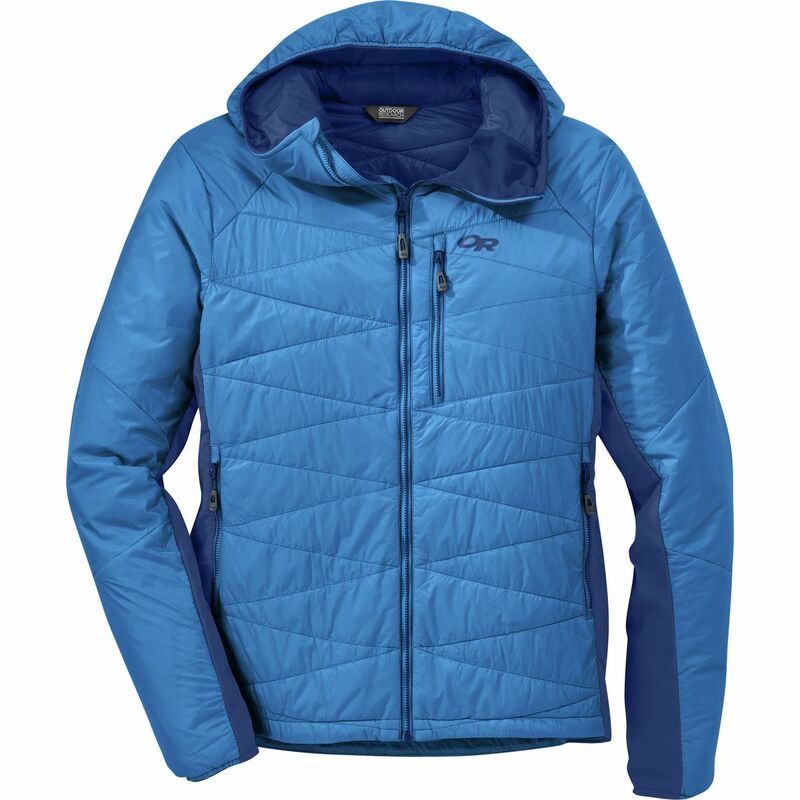 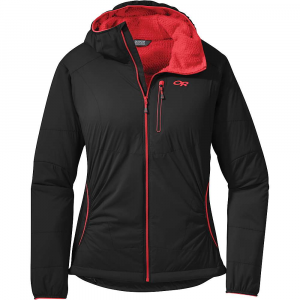 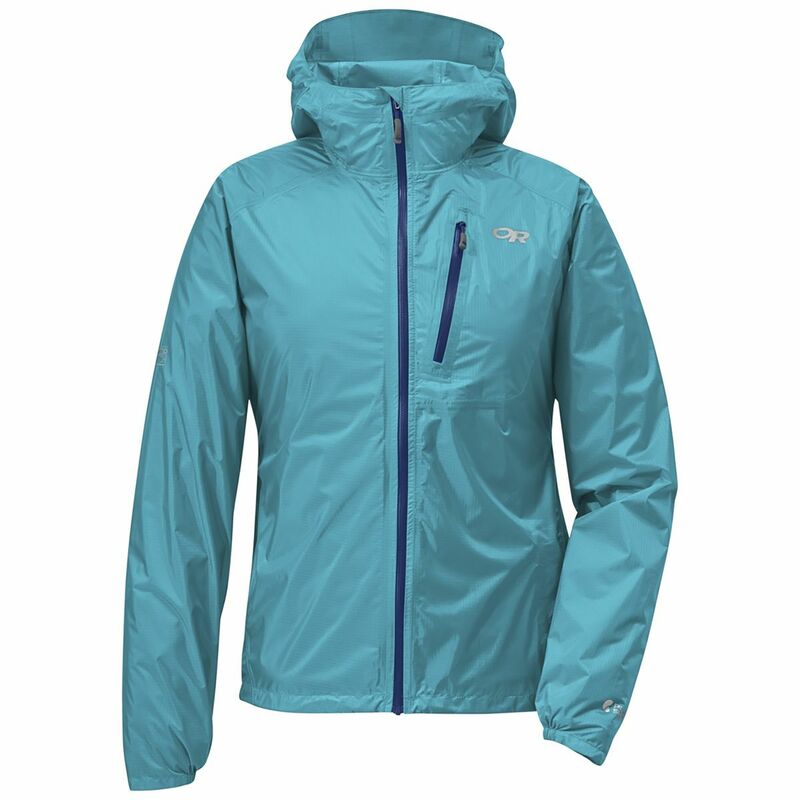 Offering all-season versatility, this jacket is a great option as a standalone piece or midlayer, and excels during High-output activities like cross-country skiing or ice climbing.